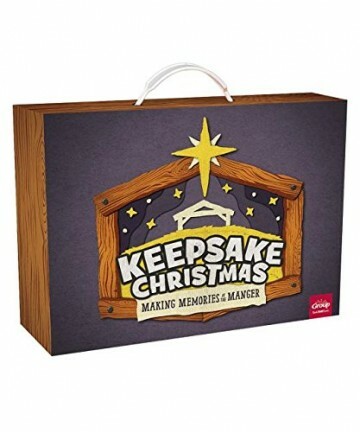 Keepsake Christmas: A Christmas Event for Families Making Memories at the Manger This year, host a Christmas program families will love and can experience TOGETHER! During this engaging one-hour interactive program, theyll hear a dramatic retelling of the Christmas story from cast members onstage. Andeach guest will create their very own keepsake nativity scene to cherish for years to come. Starter Kit includes FREE digital versions of leader guides, media, and more. Families will: Hear Marys memories of traveling to Bethlehem, and reminisce about their family trips. Hear Josephs thoughts about when Jesus was born, and share stories of when their own children were born. Learn the meaning of Jesus name, and share how they got their names. Hear an angels memories and explore ways to celebrate Jesus this Christmas. Help families make meaningful memories this Christmas!